We’d love your help. 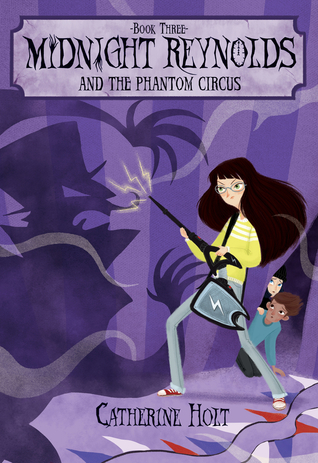 Let us know what’s wrong with this preview of Midnight Reynolds and the Phantom Circus by Catherine Holt. To ask other readers questions about Midnight Reynolds and the Phantom Circus, please sign up. Catherine Holt is a middle grade author and librarian who was born in Australia but now lives in New Zealand. Because she is mysterious, she also writes under the name Amanda Ashby and her books have been nominated for a Romantic Times Reviewers Choice award, and listed by the New York Public Libraryʼs Stuff for the Teen Age.